Bellator Fighting Championships Return | MMA Fighting Events Videos Techniques UFC Fight Picks and News. 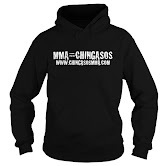 No UFC (Ultimate Fighting Championship) this weekend, but MMA (Mixed Martial Arts) fans will be treated to Bellator 60 this Friday March 9, 2012. Bellator 60 will take place at the Horseshoe Casino in Hammond, Indiana and the main fight card will be aired live on MTV 2. 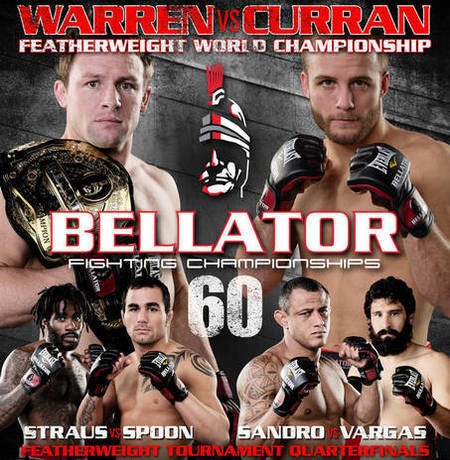 The main event at Bellator 60 will be a matchup between featherweight champion Joe Warren and challenger, former tournament finalist, Pat Curran. Bellator 60 will also be featuring the quarter finals of the featherweight tournament. Winner of the tournament will get a payout of $100,000, plus a title shot with the winner of Warren vs. Curran. If you haven't checkout out a Bellator event and you're an MMA fan, make sure you do so. Bellator is getting a good reputation for putting on exciting fights!